HA note: The following is reprinted with permission from Eleanor Skelton’s blog. It was originally published on October 20, 2014. Observing the backlash against my friend Cynthia Jeub’s blog series on family abuse has been quite informative for my journalistic aspirations. Cynthia and I worked at the campus newspaper as editors for two years, and we share a passion for investigative reporting. Together, we advocated for disabled students on campus, plotted together to conduct social experiment videos, followed the conflict over sermons about homosexuality at Bob Jones University last year, and cheered on the BJU students leaking bootleg recordings. But two weeks ago, it got real. Cynthia wasn’t just supporting Homeschoolers Anonymous and the spiritual abuse survivors blog network anymore, we weren’t just swapping links back and forth on chat. She shared her own story. People told us to be quiet, to not make God or Jesus or Christianity look bad. In the Jeub family’s responses, the fact Cynthia is even seeing a therapist at all is grounds to claim she is “mentally ill” and that her memories should not be considered credible. I’ve noticed that American culture often misunderstands mental illness, as illustrated by the Matt Walsh post on Robin Williams’ suicide. But legally, the state only interferes when the patient states or acts to threaten their lives or others. When their issues keep them from functioning in society. So I don’t believe the Jeub family can label Cynthia “mentally ill” because she goes to counseling. She holds a full-time job and attends classes. If Cynthia’s crazy, well then so am I. Another phrase abusers use to cover up the past. Especially in the church, because forgiveness is a Christian virtue, and Jesus forgave so much more than you ever could. This brand of “forgiveness” just enables abusers, as illustrated in power and control cycles. Read the “minimizing, denying, and blaming” section. Last week, a friend of mine received a message from her former boyfriend’s phone, sent by his controlling, manipulative girlfriend who assaulted him back in 2012. If we cannot tolerate this behavior in romantic relationships, we shouldn’t in child rearing, either. Even forgiveness does not heal the hurt. Chris Jeub’s podcast was loaded with this excuse, mostly from Cynthia’s siblings. The Jeub children still living at home assume explosive outbursts and physical attack is normal and happens in every household. 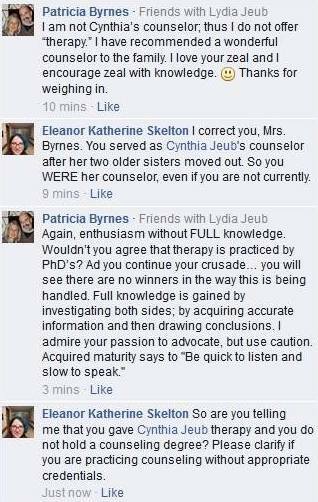 A more aggressive attempt to discredit Cynthia’s story, in the form of libel accusations, came from Patricia Byrnes, former counselor to Cynthia and the other older Jeub sisters. She and her husband Kurt Byrnes founded Anchor of Hope Ministries in Monument, Colorado, and provide services to the homeschool community. And she actively discouraged Cynthia from sharing her story, although a counselor’s role should be to enable and empower. 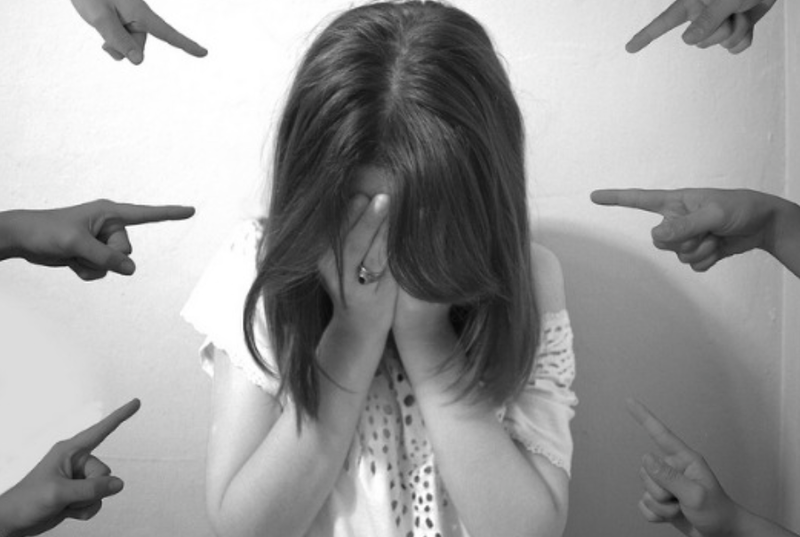 The homeschool community becomes abusive and toxic when authority figures mislabel and deny our voices and then advocate a false forgiveness above all else. These scenarios are what perpetuated our harm for so many years. Silence only enables abusers. Our scars have stories. And the stories matter. Forget that. She needs to be called out in all chrstian counselling circles because she aint no counselor. That facebook thread: totally obvious avoidance. LIAR. Her job title on her LinkedIn profile is “counselor.” Their website says “Patricia Byrnes has been involved in counseling women and teen girls for over 25 years.” So I’m not sure how she can claim to not be a counselor. They do clarify on the website that they’re not “real,” trained or licensed counselors and basically have no credentials for setting themselves up to counsel anyone (they don’t say it quite that way, of course). If she were, her license would certainly be revoked after violating the most foundational ethical tenet of the counseling profession, which is client confidentiality. I am horrified at the Patricia Byrnes comments on FB, and would like to check out her website to see how she presents her “ministry”. I have done several web searches to no avail. Do you have the link? I am wondering if they took down the website. She has apparently closed her FB account already. My greatest concern is other “clients” who might unknowingly and innocently place their trust in her. What she has done to her former “counselees” in revealing details shared in confidence is just horrific!! I am so grateful to Homeschoolers Anonymous for bringing this to light. You are doing a valuable service where once there was a huge void. She should be turned in and censured for practicing without a license. According to this link, Anchor of Hope Ministries has a “specialized area” of “Christian Counseling” as of 4/30/14.Perhaps they could shed light on their credentials in regards to Patricia Byrnes comments. I didn’t find a website for the Anchor of Hope Ministries. But several sites list this “ministry for Monument CO. and give a phone number. . this one says to scroll down for reviews. I did but there are none. 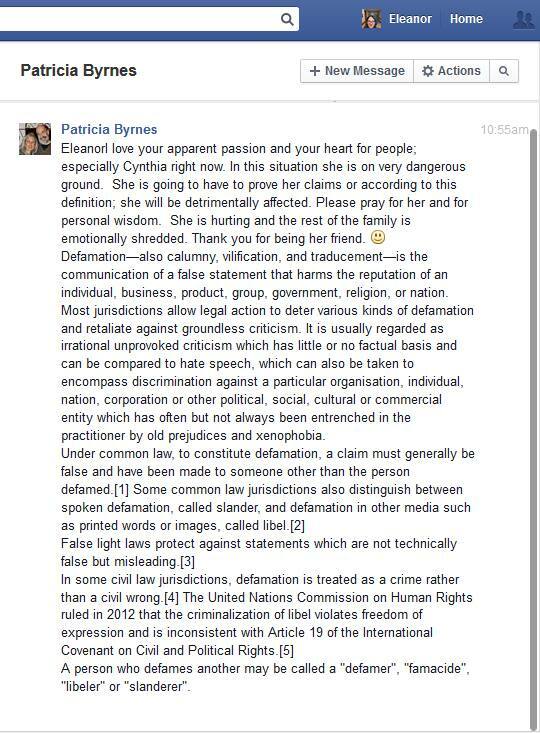 This Patricia Byrnes has acted incredibly unprofessional by breaking confidentiality especially in such a public forum. But her ignorance is telling. A therapist does not have to be a Ph.D. A master’s degree is required for the licensing program for a Marriage and Family Therapist. Also it is unfortunate that Christian counseling does not fall under the same certification/licensing requirements that govern secular therapy. Therefore there is little recourse for anyone who suffers harm at the hands of a Christian therapist, unethical though their actions may be. A licensed therapist would lose her license for this type of behavior. Nothing at all may happen to Patricia unless the ministry decides to do something. a professional therapist who is familiar with abuse, domestic violence or otherwise, and the tactics of abusers, Knows that it can take years for the victim to realize they have been, or are being, abused and to stop protecting the abuser. For Patricia to insinuate that Cynthia is being dishonest for not disclosing at the time shows unforgivable ignorance (for one in her profession) at best, and colluding with the abusers at worst. The police need to be brought into this abuse thing. Sounds as if P .Byrnes could be sitting on lots of info about kids being mistreated. Surely the Jeub kids were not the only victims among this cult of religious nutbags. Oh my gosh. Blast from the past! I attended a church (not the one mentioned) pastored by Kurt Byrnes- they lived in my neighborhood. I spent a few years hanging out with her kids (4 boys and a girl, at the time). Holy cow! If I had a dime for every time my fundie parents told me or other people that I was/am “mentally ill”….. Is this the go to line for parents who’ve “lost control”? Not to mention “mentally Ill” is not a good dismissal of a person’s claims. The most common mental illnesses (depression, anxiety, PTSD) don’t usually cause delusions or lying. Nor do most presentations of the most common of the “psychotic” illnesses, bipolar. I would say the average mentally ill person’s word is pretty much as trustworthy as the average well person’s (which is not 100%, because people do still choose to lie). Abusive parents can give their kids an allowance, gifts, toys and nice things sometimes. Abusive parents can defend their children from outside threats and get them in all the best schools and programs and deal with school bullies. Abusive parents are still abusive, regardless of the things they get right or the nice things they sometimes do.